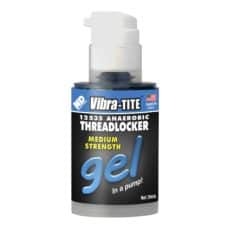 Vibra-Tite VC-3: The Adjustable & Reusable Threadlocker. Lock it down with VC-3! 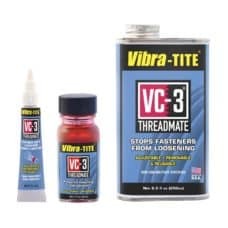 Parts coated with Vibra-Tite VC-3 can be stored indefinitely before use. Adheres to both ferrous and non-ferrous metals, most platings, wood, and plastic (see table) screws. With exceptional reliability, VC-3 holds parts in place even during extreme vibration and shock. Using steady pressure and standard hand tools, parts coated with VC-3 can be easily adjusted, removed, and reused. Since Vibra-Tite VC-3 remains a thick, resilient, viscous resin, its cold flow properties actually minimize galling or stripping of soft threads during reuse. Unlike anaerobic threadlockers, VC-3 can be air dried and then installed into a mating part under both fresh and salt water. Shake well before each use. Apply VC-3 a length of 1 to 1 ½ times the fastener diameter, filling threads 30-50%. Although material will be dry to touch within minutes, allow VC-3 to dry for at least 30 minutes (the longer the better), depending on part size. Fasteners are then ready for assembly or to be stored for later use. From tiny eyeglass screws to huge construction bolts, Vibra-Tite VC-3 is ideal for use on fasteners of any size. Mounting ski / snowboard bindings, plates and inserts. RC models (Drones, Airplanes, Helicopters). 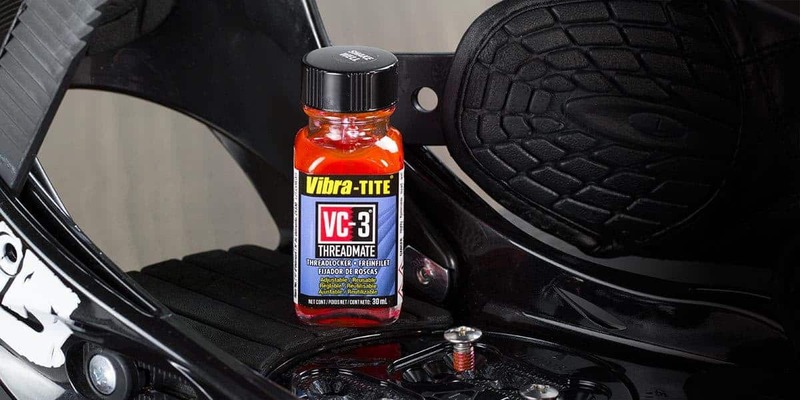 In addition to supplying user-applied bottles and cans of Vibra-Tite VC-3 for on-the-job application, ND Industries can apply Vibra-Tite VC-3 at any of our regional service centers. Bottled: 5 Years from date of manufacture. 10-30 minutes+, depending on part size. 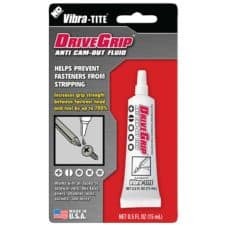 Using steady pressure and standard hand tools, parts coated with Vibra-Tite VC-3 can easily be adjusted, removed, and reused up to 5 times. Note that all VC products are applied and dried on a fastener first. 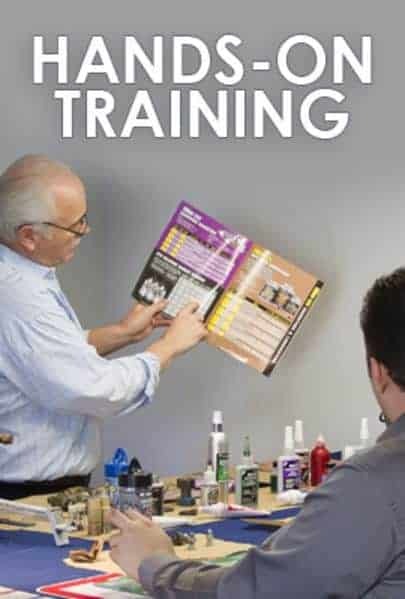 So if your fastener is metal, it can likely be installed into any substrate as the solvent has already evaporated. Applied: Indefinite, Bottled: 5 years from date of manufacture.